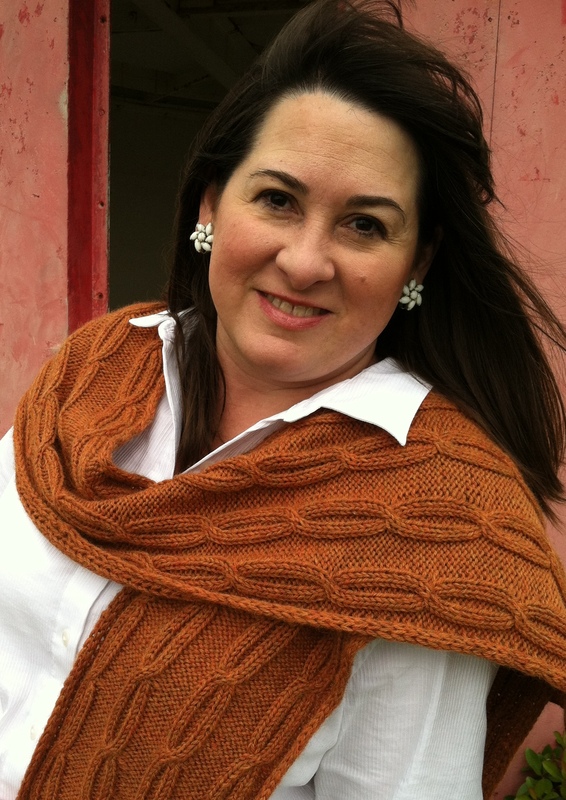 My newest pattern is now available on the Knit Picks Website or on Ravelry. 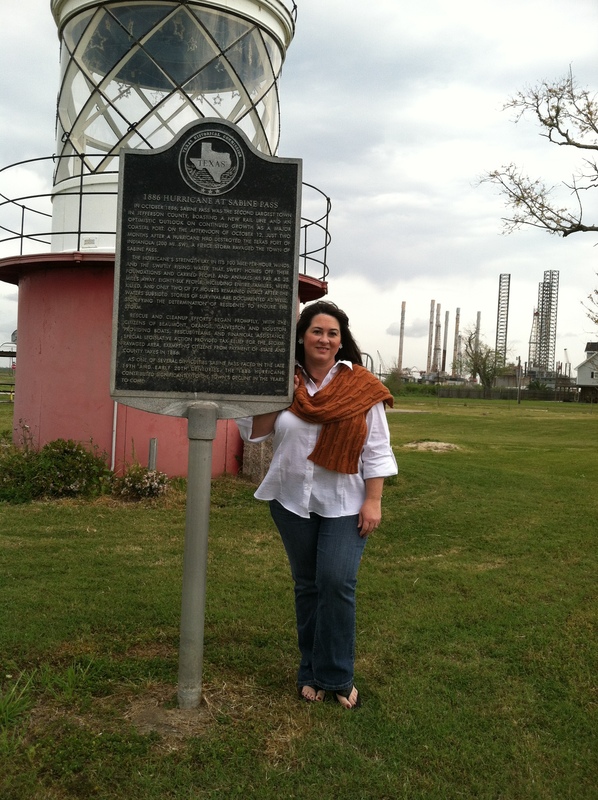 The Sabine Pass is a wrap that is part shawl and part scarf. 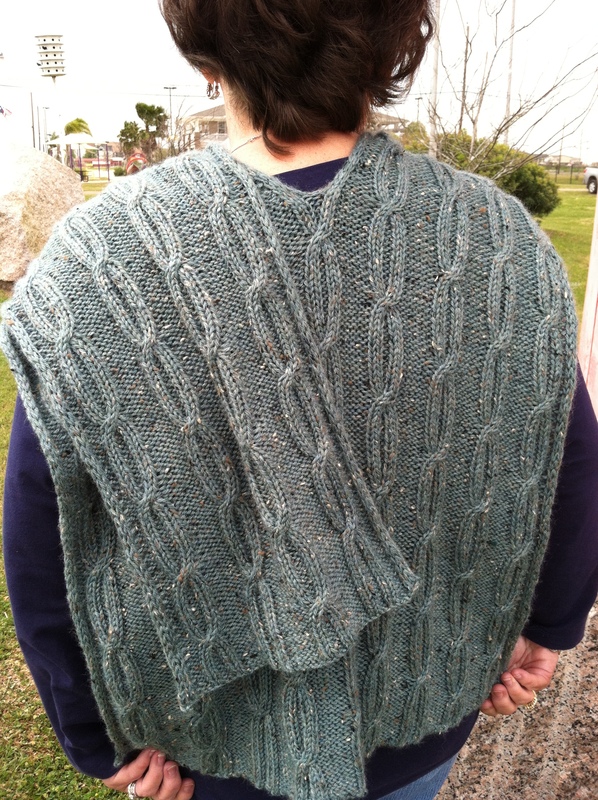 The back of the wrap looks like a square shawl, but the two scarf-like pieces drape over the shoulders in the front. One front piece is longer than the other and is worn thrown over the opposite shoulder, allowing the wrap to stay in place. 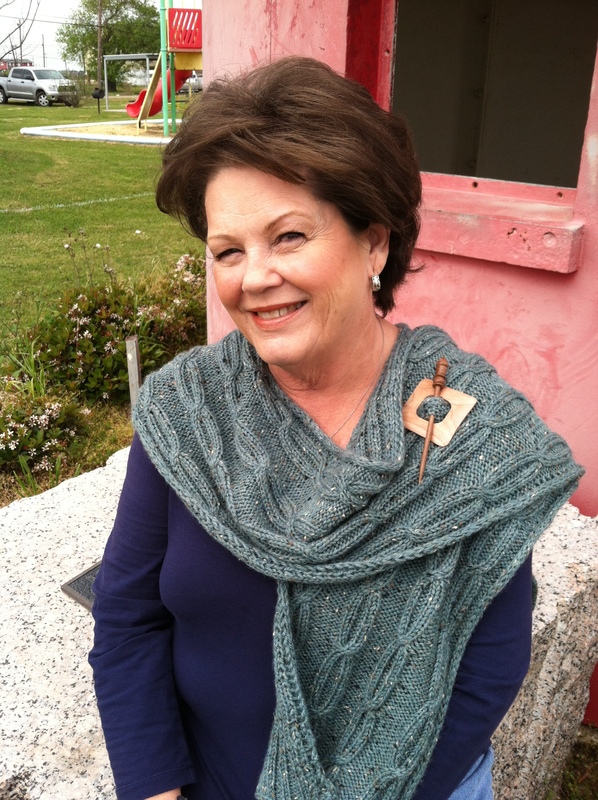 A shawl pin can be worn if desired. 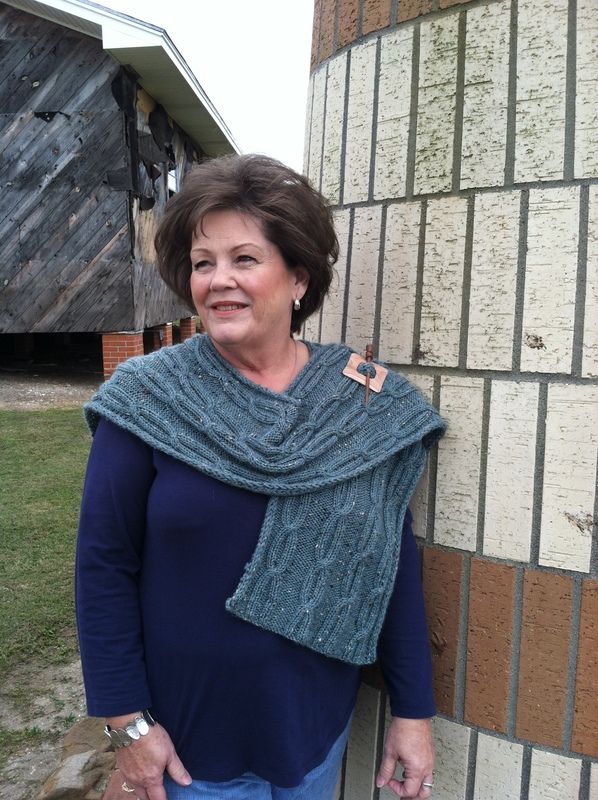 The wrap is knitted in a simple cable chain with matching ribbing on the ends of the wrap. 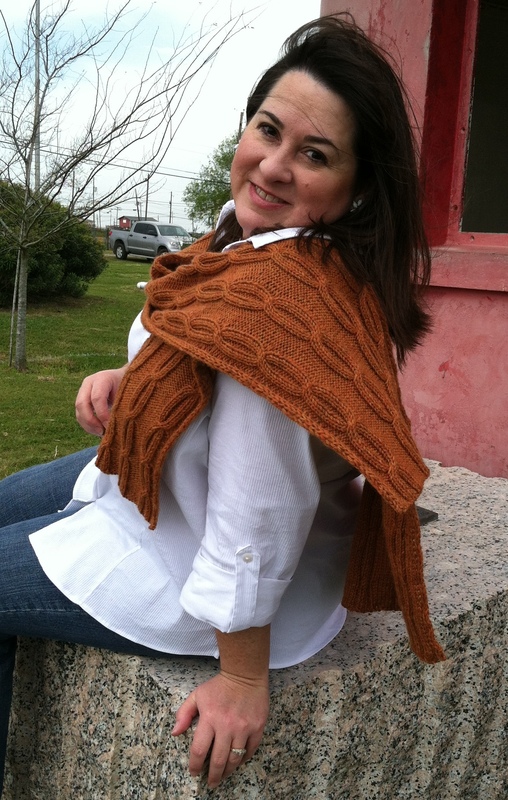 The wrap is knit using worsted weight wool yarn making it a nice, warm accessory for winter.